Bronchitis Or Pneumonia: Is There Obvious An Difference? Bronchitis Or Pneumonia: Is There An Obvious Difference? 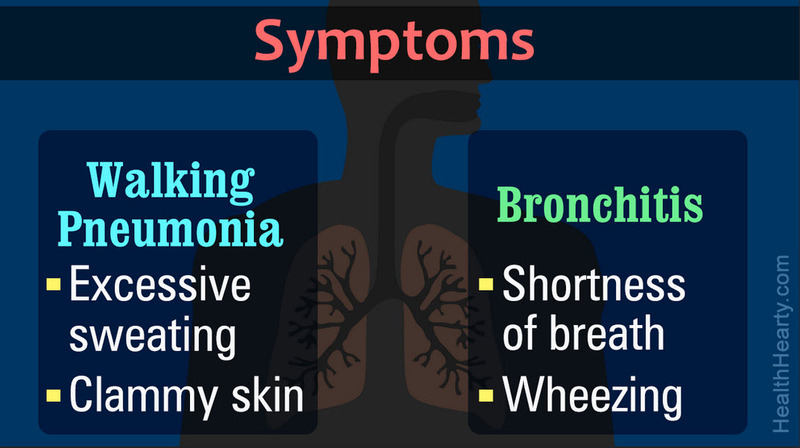 Bronchitis and pneumonia have several things in common but are also different. Most people can’t tell the difference, but the key is to take care of either one, before it gets worse. For example, one basic similarity is a cough that lasts for weeks. After that, there are some key differences. Let’s review them. 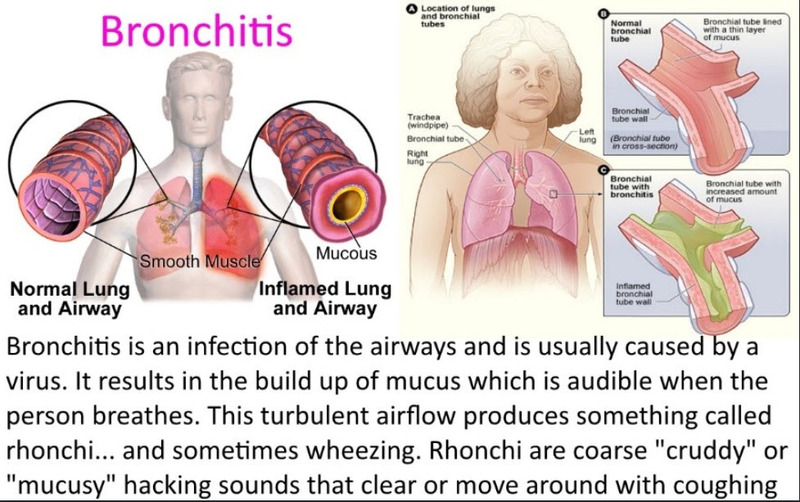 Bronchitis Or Pneumonia: What Is Bronchitis? Bronchitis is caused by a virus brought on by either a cold or the flu, and that inflames the airways leading to your lungs. Because it’s caused by a virus, antibiotics are ineffective against it. As antibiotics don’t work, use over the counter medications, drink plenty of fluids, and get as much rest as possible. The most common pneumonia is bacterial pneumonia. It causes severe illness and is a leading cause of death among Americans. The most effective treatments are with antibiotics. Getting sufficient rest is very important. Recovery can take weeks, even months. The CDC (Centers for Disease Control) reports that approximately 400,000 Americans are hospitalized each year with bacterial pneumonia. Delayed treatment can lead to death. Drink a cup of caffeinated coffee or tea. Caffeine is a mild bronchodilator that can improve breathing by opening up the airway passages. Take medications as directed. Your doctor may put you on an antibiotic, antiviral, or antifungal depending on what type of pneumonia you have. Make sure you take it as instructed and finish the entire prescription, even if you feel better. Stop smoking and stay away from smoke. The bottom line is that if you develop a cough plus several other listed symptoms, which persist for several days, call your doctor.